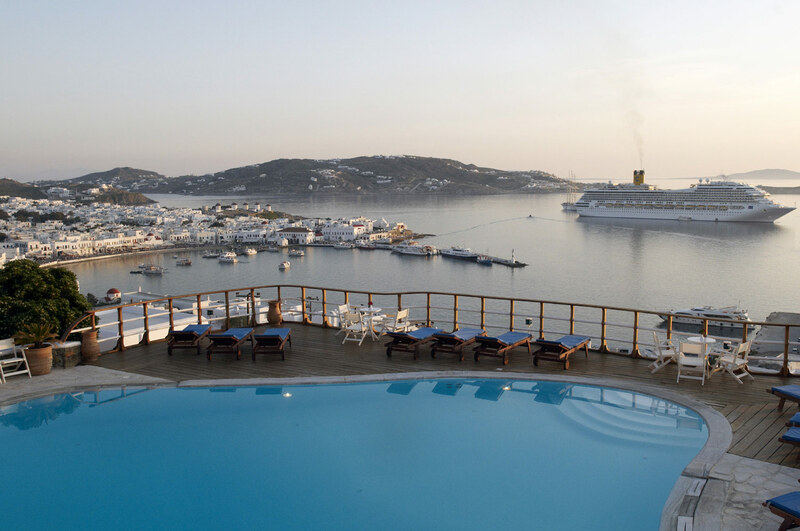 MYKONOS VIEW. A hotel that really justifies its name. 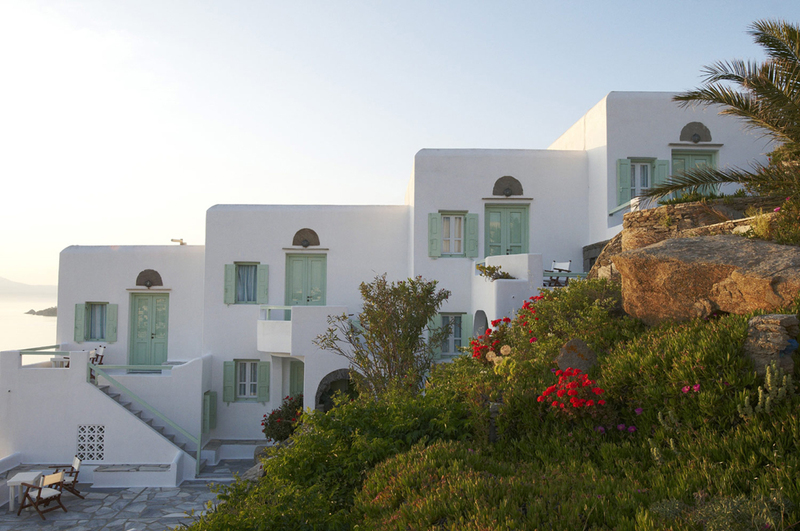 The hotel is situated on a hill above Mykonos Town. Despite its location, it has easy access to the center and the famous mykonean nightlife. It is a traditional complex of apartments, a mixture of the local architecture with the features of a castle. Some of its walls are white-washed, while others are covered in huge stones that make it look like a castle-town. It is consisted of independent studios, apartments and maisonettes connected to each other through narrow cobblestone paths with colourful flowers. They can accommodate couples, big companies or families. 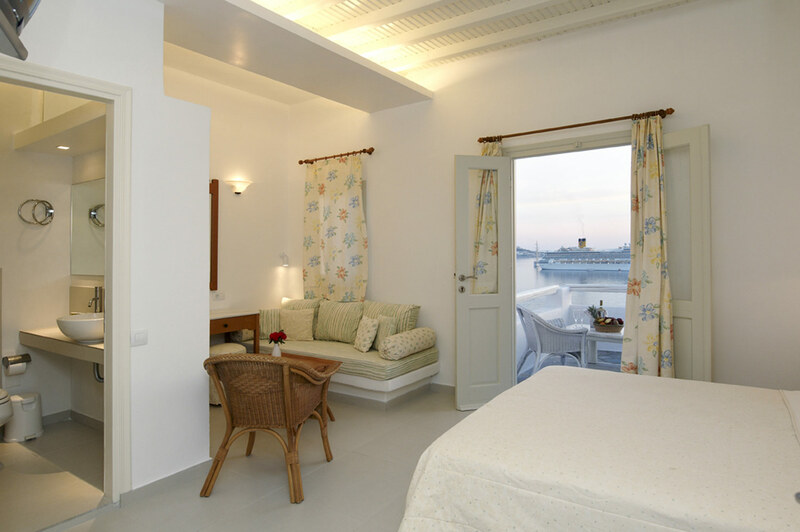 The decoration is simple, still it provides all modern amenities such as: satellite TV, telephone, air-conditioning and kitchenette. 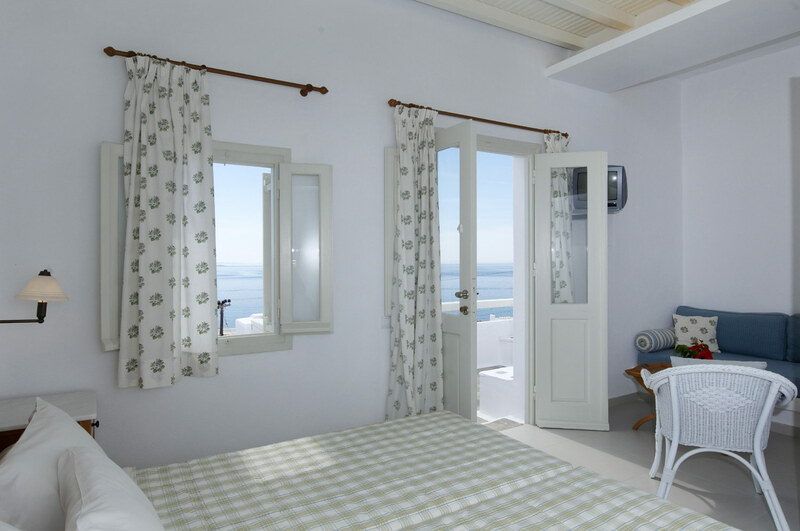 They all have balconies with breathtaking view to the Town and the sea. 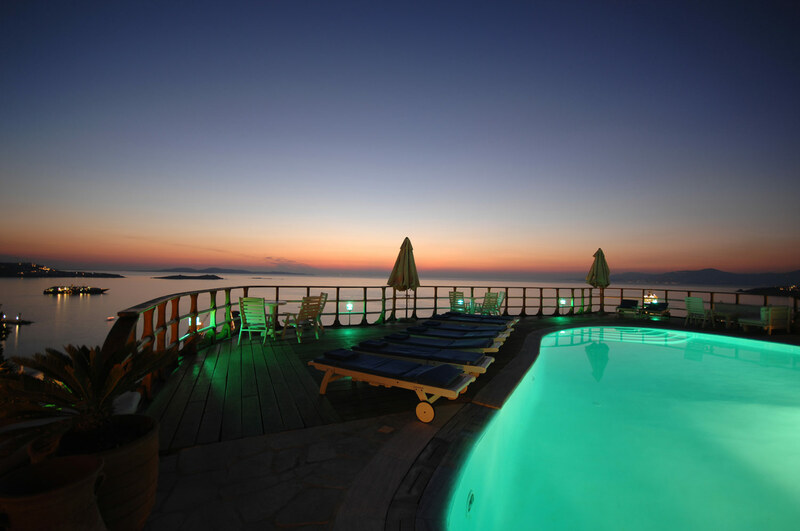 ONEIRO BAR RESTAURANT is a pole of attraction not only for the hotel guests, but also for all the romantics who want to enjoy the sunset. The bar restaurant is located at the highest hotel level and resembles a ship due to the wooden deck. It has stone-built traditional sofas and big tents to protect people from the sun rays and the winds. 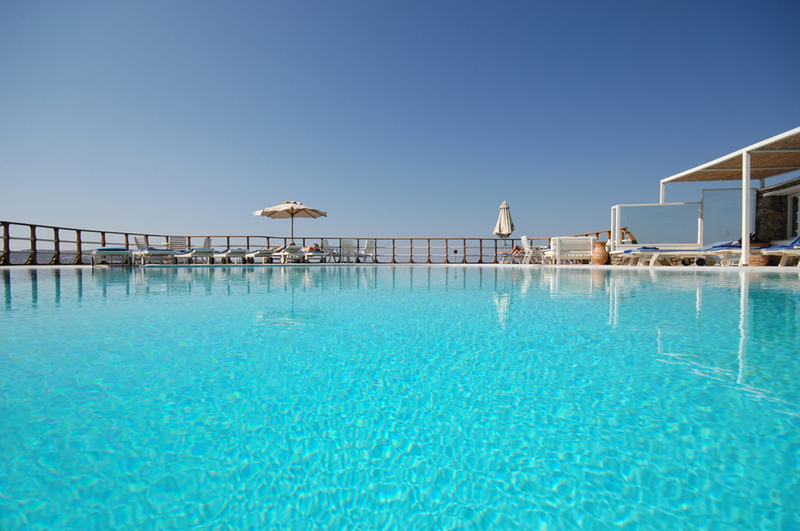 It serves cold drinks, beverages and light snacks all day long to the first morning hours. It is the best choice for a night out without even leaving the hotel. 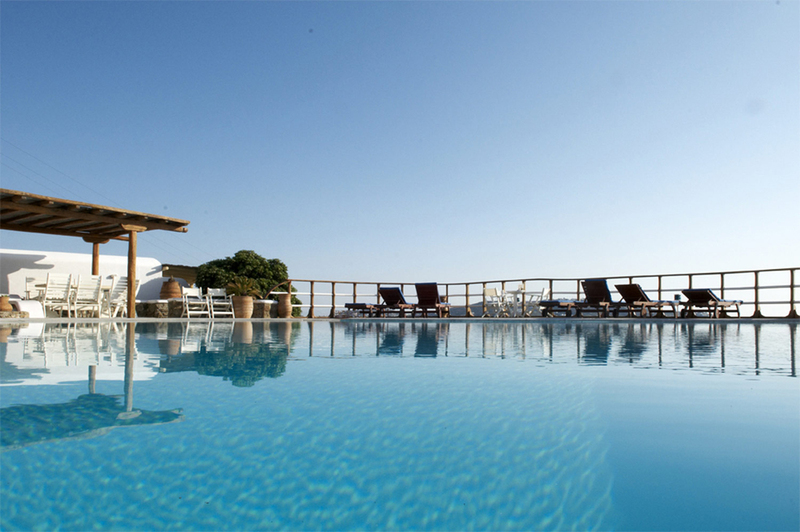 The swimming pool literally overhangs the Aegean sea and creates a serene natural surrounding ideal for your swim away from the crowds. When the sun burns your skin, take a break from the sun bath to enjoy a fresh juice or a cool refreshment. 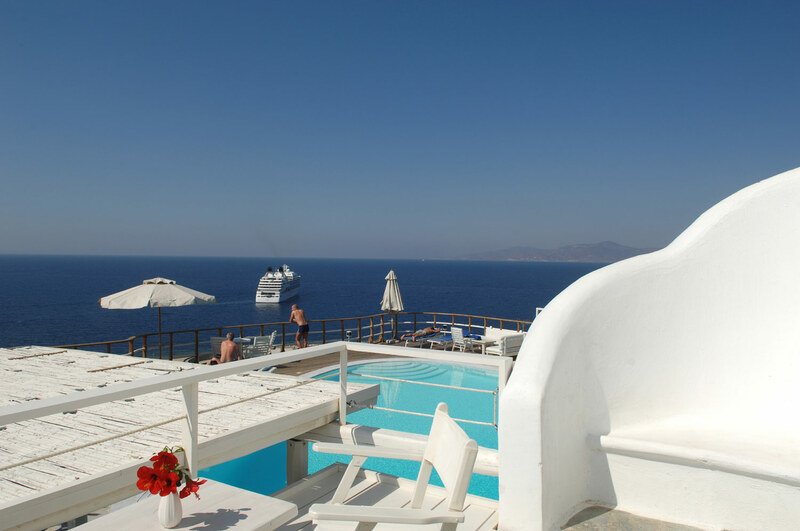 When the night spreads its veils, it is the best time to visit the pool, which is then lighted, gaze into the deep blue sea and the ablazed with light Mykonos Town. 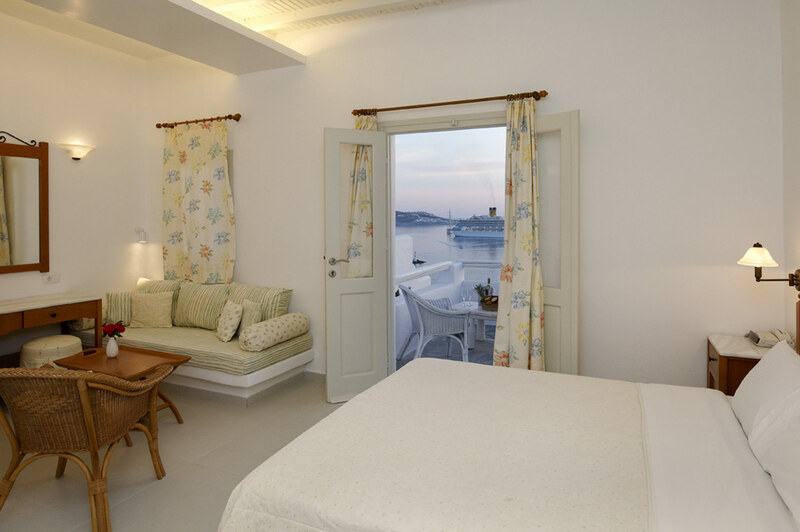 If you are familiar with MYKONOS VIEW, please share your opinion of it with other travelers. Write a review!